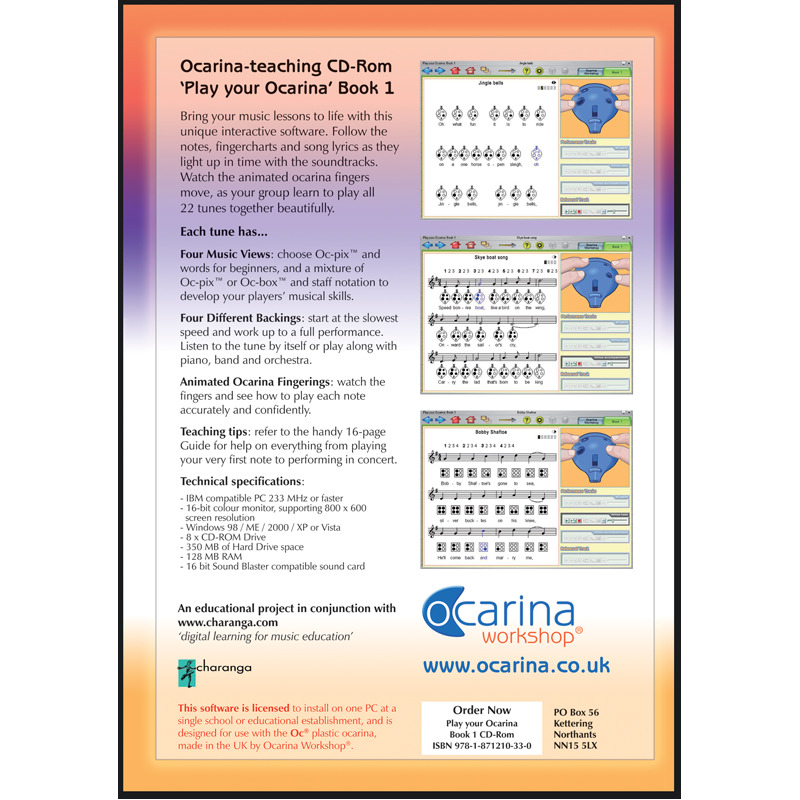 Revolutionise your music lessons for ever! 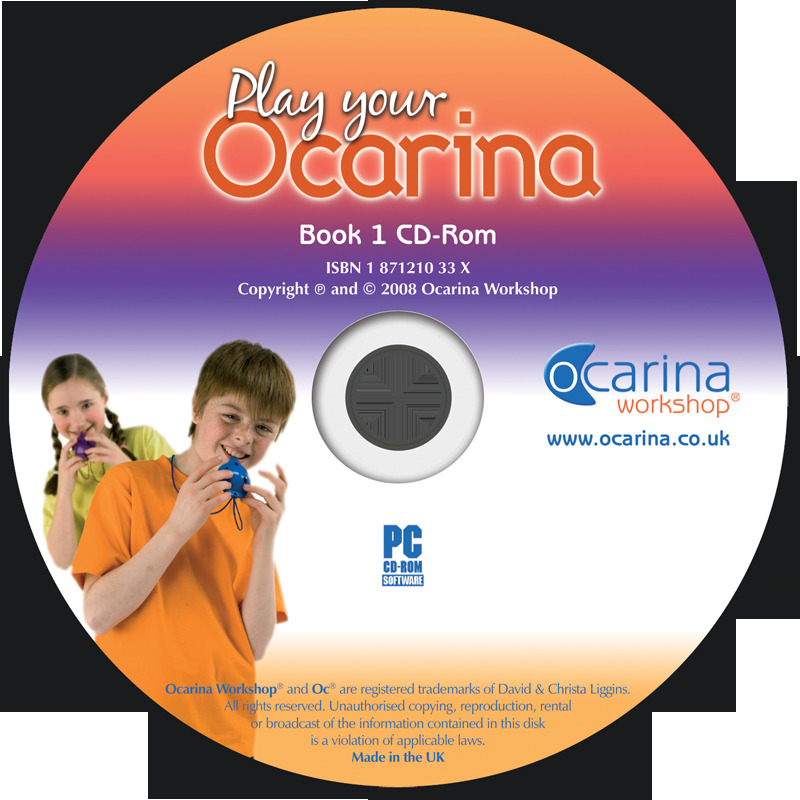 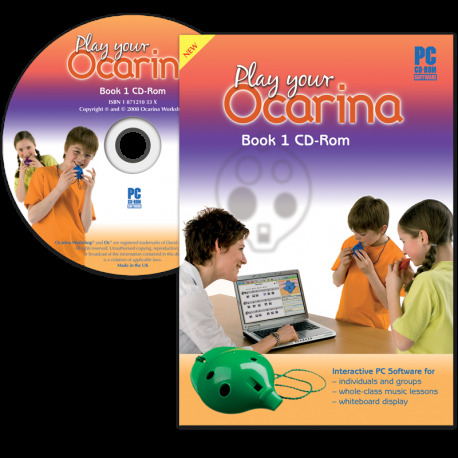 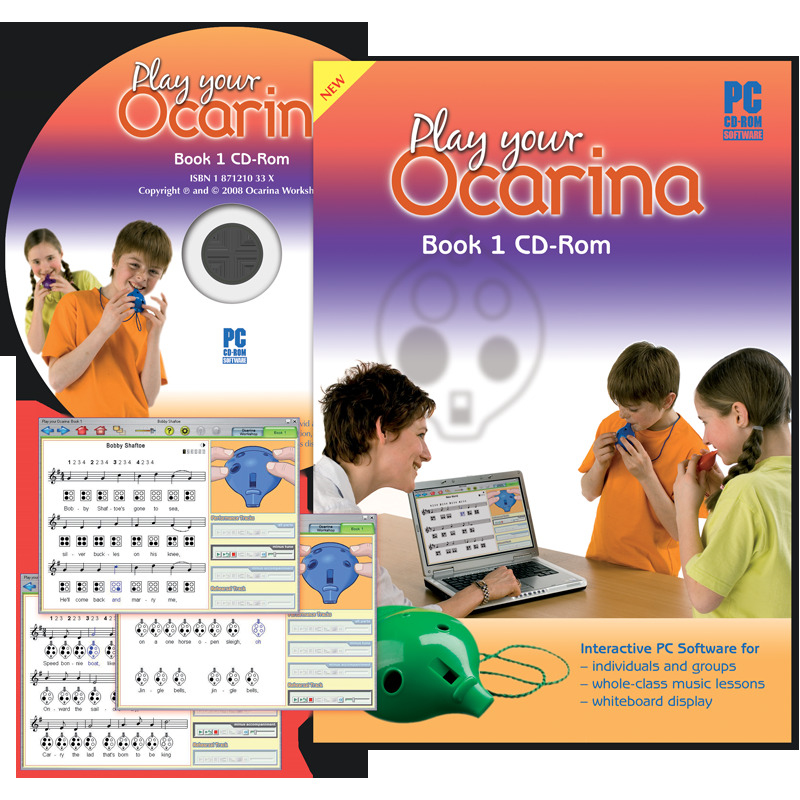 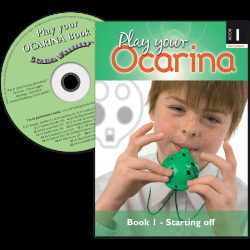 Designed to accompany whole classes of Oc ocarinas, this CD-Rom has all the tunes in Play your Ocarina Book 1. 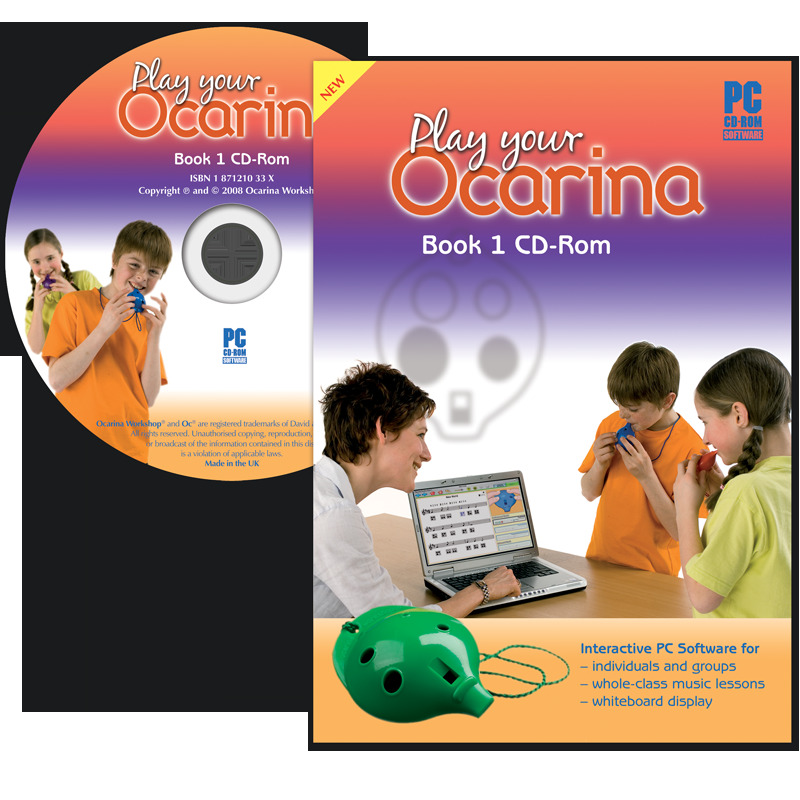 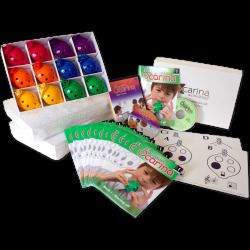 Bring your lessons to life with this unique interactive software developed for whole-class ocarina lessons. 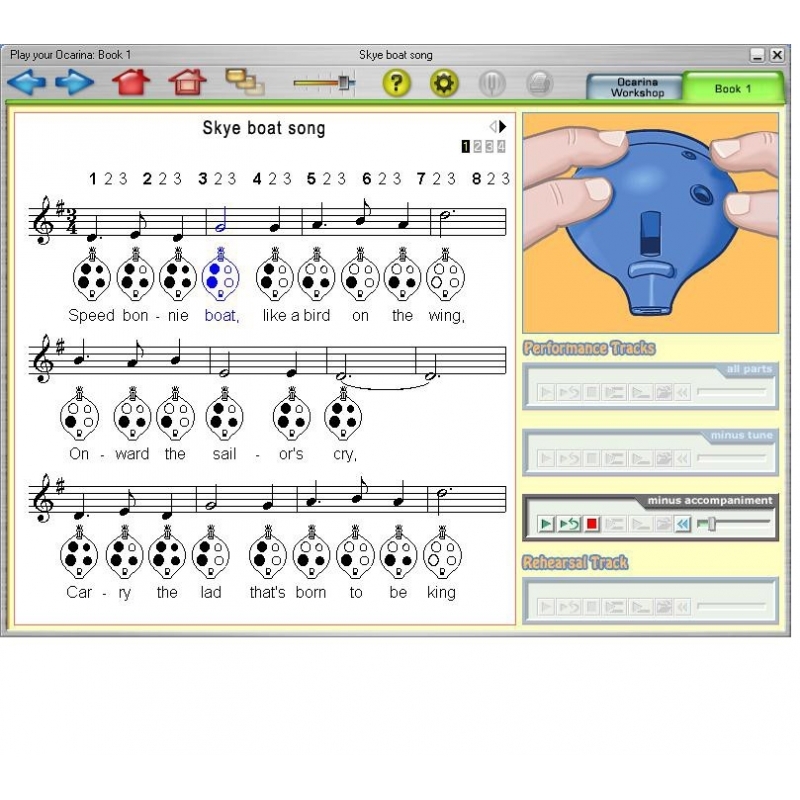 Follow the notes, fingercharts and song lyrics as they light up in time with the soundtracks. 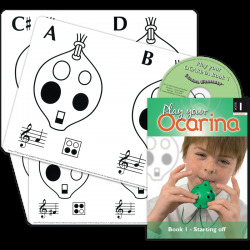 Watch the animated ocarina fingers move, as your group learn to play all 22 tunes together beautifully. 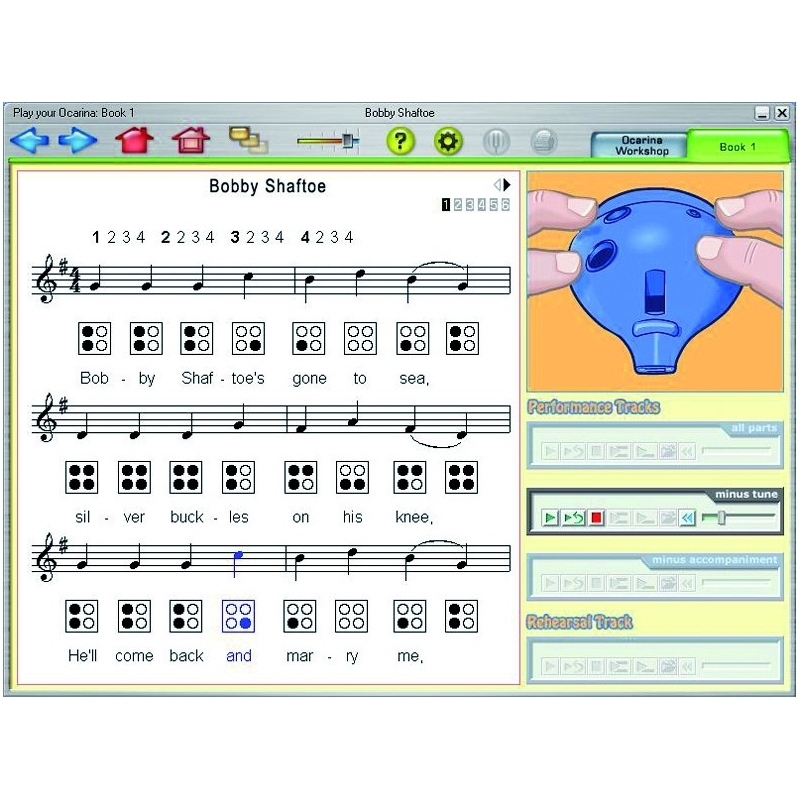 Each tune can be projected in four different ways to show your preferred combination of Oc-Pix, Oc-Box, words and standard musical notation (see three example screenshots opposite). 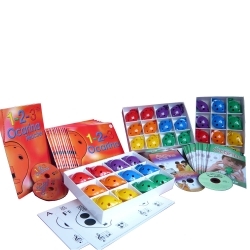 You can also choose the style and speed of the accompaniment to match the skills of the children in your class from super-slow to full performance. 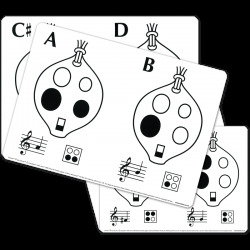 The finger-charts and notes light up as the music plays, so that ocarina players at all stages of learning can follow and join in successfully. 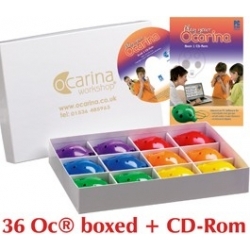 16 bit Sound Blaster compatible sound card.